We’d love your help. 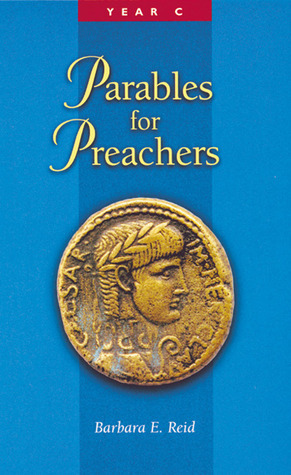 Let us know what’s wrong with this preview of Parables For Preachers by Barbara E. Reid. The parables of Jesus are puzzling sayings and stories with world-transforming potential. Parables for Preachers offers an understanding of how parables work and a fresh variety of possible meanings not only for Jesus ' original audience and for the early Christians for whom Matthew, Mark, and Luke wrote but also for contemporary Christians as well. The Gospel parables are The parables of Jesus are puzzling sayings and stories with world-transforming potential. Parables for Preachers offers an understanding of how parables work and a fresh variety of possible meanings not only for Jesus ' original audience and for the early Christians for whom Matthew, Mark, and Luke wrote but also for contemporary Christians as well. The Gospel parables are analyzed in the order in which they appear in the Lectionary, making this book an indispensable resource for preachers, teachers, catechists, liturgy planners, and Bible study groups. To ask other readers questions about Parables For Preachers, please sign up. Barbara E. Reid, OP, is a Dominican Sister of Grand Rapids, Michigan. She holds a PhD in biblical studies from The Catholic University of America in Washington, DC, and is professor of New Testament and vice president and academic dean at Catholic Theological Union in Chicago. Her most recent books are Taking Up the Cross: New Testament Interpretations Through Latina and Feminist Eyes (Fortress Press, 2007), The Gospel According to Matthew (Liturgical Press, 2005), Parables for Preachers (3 volumes; Liturgical Press, 1999, 2000, 2001), and Choosing the Better Part? Women in the Gospel of Luke (Liturgical Press, 1996). She is general editor for Wisdom Commentary Series (forthcoming from Liturgical Press).